Chinese authorities have arrested eight Tibetans for sharing information with outsiders in the Luchu region of Kanlho, eastern Tibet. The condition and whereabouts of the arrested Tibetans remain unknown. 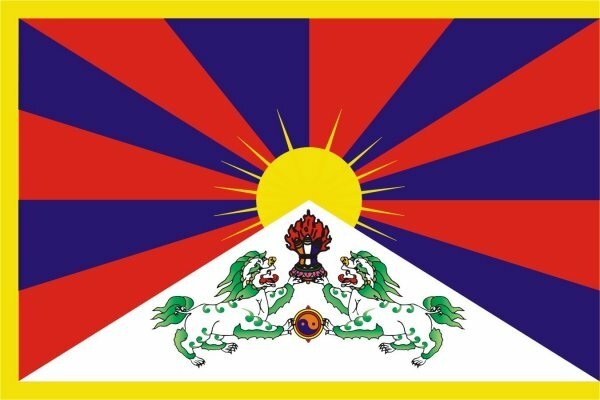 Chinese authorities have arrested eight Tibetans, including a family member of a self-immolator, for sharing information with outsiders in the Luchu region of Kanlho, eastern Tibet.The eight arrested Tibetans have been identified as Kalsang Samdup, Nyima, Lhamo Dhundup, Dorjee Dhundup, Kalsang Kyab, Kalsang Sonam, Kalsang Namdren, and Sonam Kyi. Kalsang Samdup, a 44-year-old monk of the Sherab Phuntsok Rabgayling Monastery, was questioned by Chinese authorities at his monastic quarters on December 20, 2012, and was arrested the next day for having contacts with outside “splittist” forces. The seven other Tibetans, all laypeople, were arrested three days later on charges of contacting outsiders and sharing information on the self-immolation protest of Tsering Namgyal, who set himself on fire near a local Chinese government office in Luchu on November 29, 2012. Among those arrested, Kalsang Namdren is a brother-in-law of Tsering Namgyal. The only female among the detainees, Sonam Kyi was earlier arrested for allegedly sharing information with outsiders on the 2008 mass uprising in Tibet’s capital Lhasa. She has since been banished and forbidden from visiting the capital city by Chinese authorities. The condition and whereabouts of the arrested Tibetans remain unknown.